There was a time when the only thing to top drywall was wood paneling. It served its purpose at the time, of course, but in recent years the real versatility of drywall as a building surface has expanded greatly with the development of drywall texture application. The result of this has been an explosion in not only the cost savings of not having to use paneling but in the creative use of texturing methods. Interestingly, in most cases, texturing is not performed with specialized products and tools, but by the experience and creativity of the craftsman who performs the work. At Mishawaka Drywall in South Bend, IN we have a staff of highly qualified craftsmen who have extensive experience applying texturing to drywall in homes and businesses throughout the South Bend, Indiana area. Thanks to this experience, business and homeowners can enjoy differing results when they decide they want textured drywall in their homes or offices. There are many styles as well as variations of styles of drywall texturing. Certain techniques, such as sand swirl require the precise handling of a brush. Want orange peel? All that takes is a hopper gun. 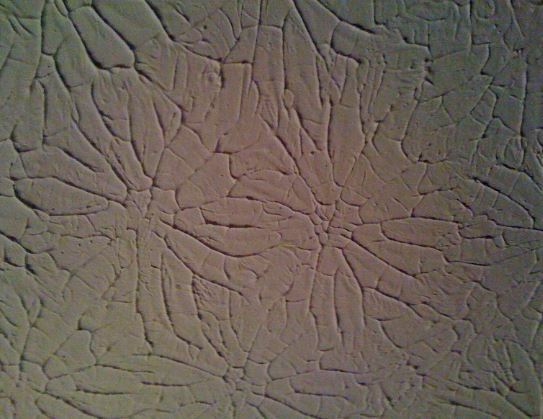 Variations of these can be achieved by using a drywall texture repair sponge. Not surprisingly, even when these different texturing techniques are repaired, the same methods used in their original application are used for their drywall repair texture orange peel or other styles. At Mishawaka Drywall in South Bend we know how to repair drywall texture ceiling so that the only person who knows there was a need for a patch is you. Even if it's just a matter of fixing a small spot or other imperfection, we know how to texture a small area of drywall so that it will mix into the entire ceiling, not just be good in and of itself. Even if it's just a small drywall paper repair we believe that we can do the job better than anyone else in the business. Whether it's a drywall finishing texture job or patching drywall texture, we are the ones to call when it comes to any drywall project. Whatever your drywall need might be, call Mishawaka Drywall for the best quality in complete drywall services anywhere. Why let your drywall repair stand out like it was an afterthought? At Mishawaka Drywall we won't let that happen. You can entrust your drywall project to Mishawaka Drywall for the very best results.